The Acura RSX was the final generation of the original Integra. Introduced in 2001 with the new name, it ran until 2006 as a compact luxury car. 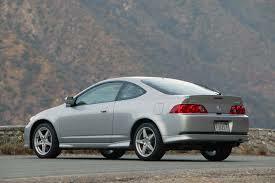 The RSX was known for above-average reliability and a refined style. Most features on the RSX were standard, making it a great value for consumers looking to get into the luxury market. It also offered agile handling and superior fuel economy compared with other cars in its class. The Acura RSX was built to be a reliable luxury car and at acurapartsnow.com, we want to make sure you get the most out of it by making any replacements with genuine Acura parts. Repairing and upgrading your RSX with OEM parts ensures that you're putting parts in that were made for your specific vehicle with the quality you expect. Search our catalog for Acura RSX parts by entering a keyword, part number or VIN. We have the OEM parts you need, from alternators, spark plugs to suspension parts. If you need help finding anything, contact our parts specialists for assistance.